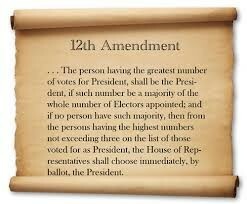 What is the twelfth amendment? 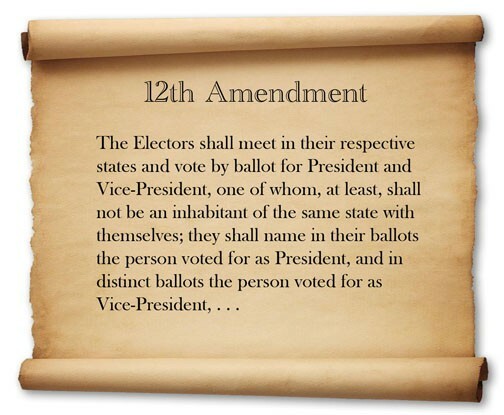 The 12th amendment describes how the president and vice president are to be elected. It tells how the electoral college, a group of electors from each state, vote for president and his or her vice. The ballots are then opened and counted aloud. The person with the greatest number of votes wins the position. This picture explains further what happens in the procedure. This picture explains how the person with the most votes wins and becomes president. 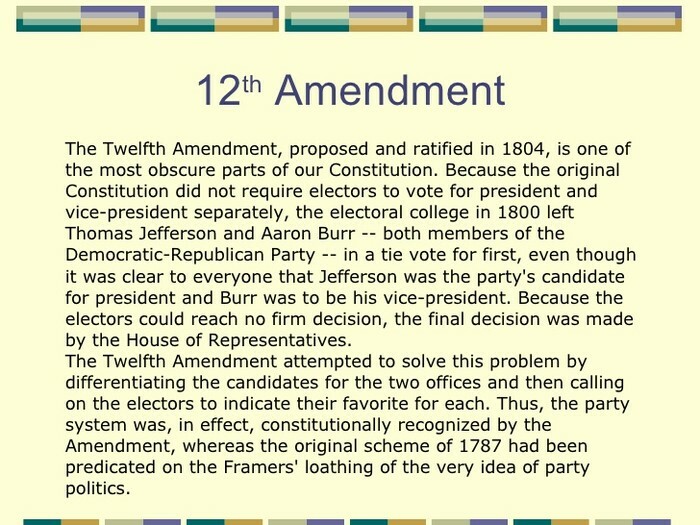 This pictures gives a more in depth description of the twelfth amendment.